As a Creative Education Consultant, I’ve run Hinduism Enrichment events in schools around the country. Teachers often admit a lack of confidence with Hinduism to me, as well as appreciation at having an insider/educator help ‘make sense of it all’. So I thought it might be useful to share what I’ve seen as the challenges with teaching Hinduism, culled from my varied classroom experiences, followed by nine personal favourite tips for improving knowledge-based RE Hinduism. Despite being the third largest world religion its relationship to RE feels a little like RE’s relationship with the Curriculum. Teachers know it’s on the syllabus but many can’t quite define what ‘it’ is, attempts to template it alongside its peers don’t really work and as with RE itself, Hinduism seems to split opinion between those that are passionate about its inclusion and those who fail to see its relevance. Needless to say, I am passionate about quality teaching of both Hinduism and RE. Some diversity of beliefs and practices is not unusual in a faith, but here it can be within the same devout Hindu household! The pluralism is inherent, making it hard not to misrepresent believers’ experience. This pluralism works through a built-in assumption that an individual’s spiritual signature (Dharma) and loyalty to community are both sacred. This is great but historically means most Hindus genuinely don’t tend to develop a vocabulary for representing or advocating for their faith experience or needs to others. I’ve seen this raise two difficulties for the classroom teacher. Firstly whilst Hindu children can describe festivals, they may struggle to ‘explain’ in English, their faith. This can be exacerbated if the textbook Hindu practices being taught in the classroom bear little resemblance to the ones practiced at home. 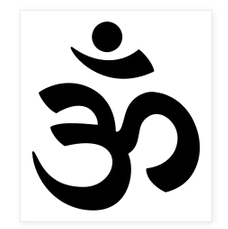 Secondly, with few exceptions, the vast body of academic study of Hinduism available in English (including the term Hinduism) has been mostly a non-Hindu observer’s perspective. An example being the emphasis given to Brahman and Moksha in teaching Hinduism, yet these terms rarely come up for most Hindus and even less so for their children. All this raises a potential barrier to empathy, comprehension and authenticity in a busy classroom. Great learning about what is a fundamentally ‘different’ religious model could be derived for KS3 and KS4 from exploring the profound mismatches as well as excavating genuine similarities. Fortunately as more Hindu scholars and teachers begin to write in English, this may gradually improve. Nevertheless identifying it as an issue may be useful and I hope encourage a fresh approach. 1. Use resources which make sense to non-Hindus but are ALSO authentic of the living Hindu experience. This sounds obvious, but many resources lose one aspect or the other, in translation. I can recommend both RE:Online and RE Today. Their collaborations with Expert Hindu Educators have produced rich authentic resources such as ‘Opening Up Hinduism’. 2. Next, don’t settle for engaging children’s curiosity & enjoyment of exotic or colourful but also challenge & enrich children’s understanding by finding the relevance of the resource to believers. This is possible even at KS1. 4. 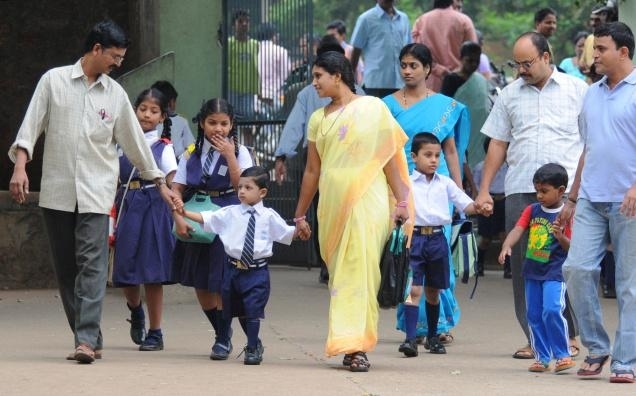 …getting Hindu parents involved can benefit the whole class. An articulate parent visitor is worth their weight in artefacts. In addition, the quality and quantity of authentic RE Resources that they may bring in is likely to be eye-popping! 5. Go for depth of believers’ experience over breadth of vocabulary or features. Without a deeper underpinning, non-specialist teachers particularly can flounder between exotic stories and colourful festivals at one level and esoteric rituals and philosophical abstractions at the other. My own workshops came out of a need for more bridging opportunities to understand ‘every-day Hinduism’ especially the pluralism. 6. Next tip, be age-appropriate. If you are using Hindu Puranic Stories, pick ones that can achieve conceptual learning at the children’s level. Ganesh, one of the most conceptually challenging deities is often pitched up front with little ones. ‘How Ganesh got his elephant head’ may sound like a charming Kiplingesque tale but read literally, contains the apparently brutal beheading of a boy by his father! Without advanced comprehension of the difference between a Devata and an Avatar along with understanding of what Shiva/Shakti and their offspring actually represent, sharing this story does more damage than good to children’s confidence in building bridges of understanding. I recommend starting young schoolchildren with stories of the human Avatars namely Rama & Krishna, whose whole life purpose is full of engaging stories and characters that more literally exemplify and illuminate Hindu Dharmic principles. 7. The Ramayana is good for primary but Bhagavat Gita fits better with secondary. It is one of the most widely-read Hindu sacred texts, world-wide. It’s written as a dialogue in poetic form, containing many engaging RPE elements for debate and discussion such as War, Politics, Moral Dilemma & Duty. It also clarifies terms such as Dharma, Karma & Yoga and has a modern relevance as the book that both Mahatma Gandhi & Nelson Mandela credit with guiding them to achieve historical change through non-violent, spiritually underpinned, principles. 8. My eighth tip is direct encounter as a way of appreciating the diversity and modernity of contemporary Hinduism. Speak to your SACRE about meeting your nearest Hindu Representative, locate and visit a Hindu Mandir or Ashram. Some like the Neasden Mandir or the Bhaktivedanta Manor near Watford are well-practised at hosting school visits. Other places are quieter but sometimes full of useful information and resources. 9. Alternatively, contact me and we can design creative activities specifically for your students, enabling them to engage with and appreciate alternative ways of being without disrespecting their own. Whichever of these tips you try, I hope they help you access a richly rewarding experience in learning and teaching about this challenging and multi-layered faith. Previous ArticleUK: How could the teaching of Islam be improved in schools?